When Knut was born, he was no bigger than a snowball and unable to care for himself. 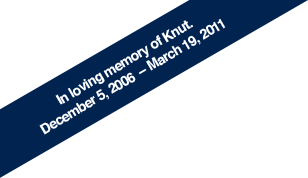 His mother didn't know how to take care of Knut and rejected him. Knut would have died if it weren't for Thomas Dorflein, a zookeeper who nurtured Knut and gave him the love and attention he needed to thrive. The adorable little polar bear captured the world's attention, and now Knut is loved around the globe.